Here, you can find information about the men’s senior national team. Current call-up lists will be published here, as well as the most recent results and the next matches. Sorry, but can you provide some more information? What did it look like, who wore it, what event was it? A picture would be ideal. Do you know if the player numbers for the world cup have been finalized? I would like to buy a jersey with Koo’s name and number but not sure if he’ll be sticking with the #13. 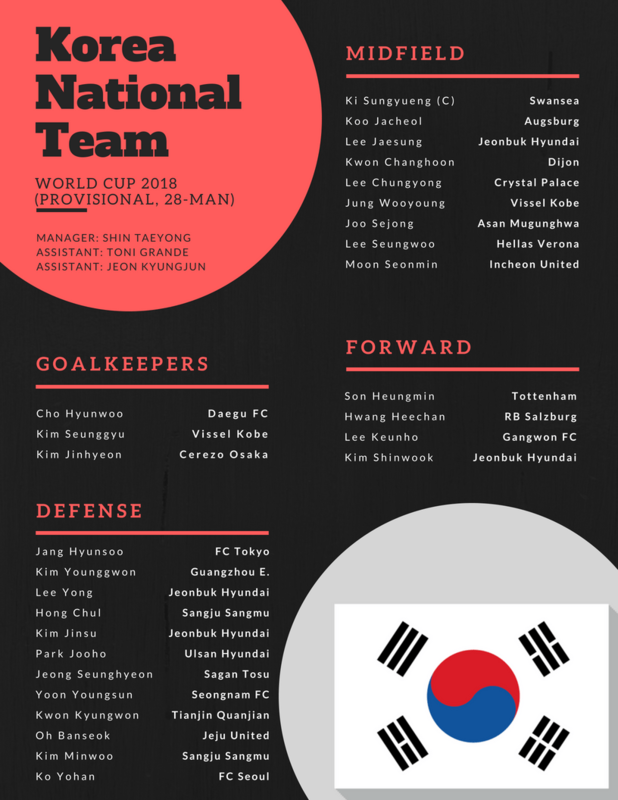 Yes, see Korea in the World Cup 2014 section of the Tavern… and Koo’s # will be 13.